I loathe the Fox News network. They drum up fear, bring out the worst in people, and fight tirelessly to convince us that we don’t need our freedoms. Jon Stewart does a beautiful job destroying their hypocrisy. In the beginning, we see a sickening sanctimonious reverence for our constitution, immediately followed by an all out assault on every freedom within it. The U.S. Government is out of control. Just a few days ago, The Guardian broke a story that the NSA ordered Verizon to give the daily phone records of every single customer. They’re collecting call location, duration, the time the call was placed, to whom, and much more. What does the government need with all of this information? This isn’t a Republican or Democrat issue. These domestic spying programs began under the Bush administration with the Patriot Act and they’ve been ramped up under President Obama to unprecedented levels. According to inside sources, these surveillance programs are growing exponentially. If we don’t tell the government to cut it out, there really will be an all seeing eye watching everything we do. So how bad is it now? Well, they’re already reading all our emails, listening into all our cell phone calls, monitoring all our Skype conversations, reading all our IM chat logs, storing all our blog posts, and basically anything else we do online. They’ve been mining Microsoft, Yahoo, Google, Apple, and others for years. The National Security Agency and the FBI are tapping directly into the central servers of nine leading U.S. Internet companies, extracting audio and video chats, photographs, e-mails, documents, and connection logs that enable analysts to track foreign targets, according to a top-secret document obtained by The Washington Post.The program, code-named PRISM, has not been made public until now. It may be the first of its kind. The NSA prides itself on stealing secrets and breaking codes, and it is accustomed to corporate partnerships that help it divert data traffic or sidestep barriers. But there has never been a Google or Facebook before, and it is unlikely that there are richer troves of valuable intelligence than the ones in Silicon Valley. They also know all about our finances, purchase history, credit card records, and all financial transactions. They have detailed files on all of us. They know our political views, they know who we’re talking to, and who we’re friends with. They know almost everything, yet they want more. This isn’t going to end unless we make them stop. 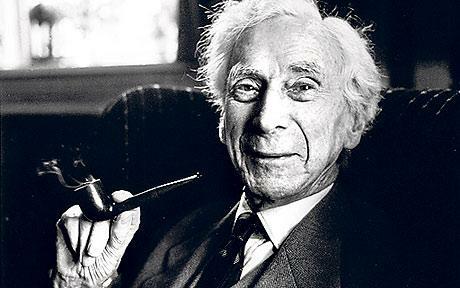 Over the weekend I had some free time and decided to read Bertrand Russell’s book How To Read And Understand History. I thought this passage is worth sharing. We do have reasons to be hopeful. Harvard psychologist Steven Pinker recently came out with a book titled The Better Angels Of Our Nature, which is a treatise on human violence, its causes, and ways to circumvent it and bring out our better angels. According to his research, violence has been on the decline, though he’s not sure that this trend will continue indefinitely. Either way, I really enjoyed the book. Unfortunately, I’m not totally optimistic about the future. Our story is not a happy one, and progress was generally the exception, not the rule. History, real solemn history, I cannot be interested in. I read it a little as a duty, but it tells me nothing that does not either vex or weary me. The quarrels of popes and kings, with wars or pestilences, in every page; the men all so good for nothing, and hardly any women at all—it is very tiresome. I too oftentimes find myself reading it less for enjoyment, and moreso as a duty. We have to understand how nasty people can be and what drove them to do what they did. That’s the only way to improve the world and learn from our mistakes. I had a lot more I wanted to say but I need to go into the lab and work! Maybe I’ll append to this post once I get home if I’m not too tired.